Europe beckons with glorious history, fabled cities and spellbinding beauty! Cruise to Europe's most enchanting ports of call and discover with Princess the lands of legends and kings. Enter lands where fairy-tale castles inspired Shakespeare, where the Lads from Liverpool launched a British invasion and where the elusive Nessie calls home. Experience the heart of Scotland at Edinburgh's famed castle, or join friendly locals for a pint at a pub in Dublin. Venture to stunning Godafoss Falls and Iceland's geothermal wonders, or visit the attractions of Paris and the historic shores of Normandy on a cruise to Northern Europe. Explore Rome and Athens, where two great civilizations sprang forth. Take a gondola through the canals of magical Venice, or soak in the spectacular views of whitewashed villages and ancient windmills from a seaside café on the isle of Mykonos. Relive the Renaissance in Florence, stroll the medieval walled city of Dubrovnik, or visit the fabled Amalfi Coast from Naples. Cruises to the Mediterranean & Greek Isles will captivate you with timeless beauty. A Transatlantic voyage with Princess Cruises harkens back to the golden age of ocean travel with a perfect combination of relaxing days at sea and life-transformative opportunities to explore fascinating destinations across two unique continents. Princess’ award-winning itineraries range from 14 to 36 days, sailing between the U.S. eastern seaboard and European regions like the Mediterranean, Northern Europe, the British Isles, and more. 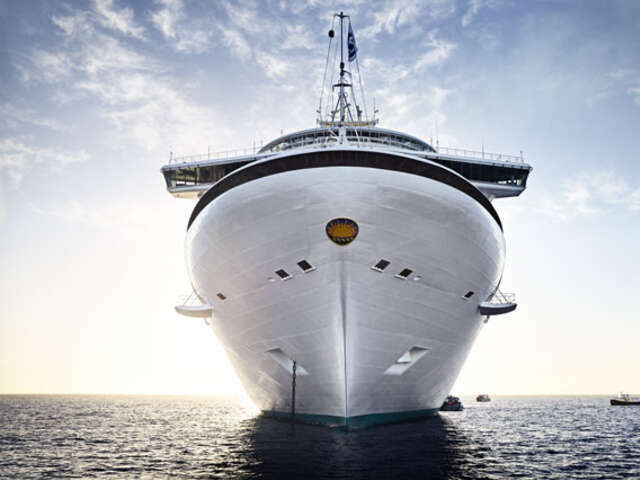 Experience the thrill of the classic cruise experience on a Transatlantic voyage with Princess. For a limited time save up to 40% on select summer 2018 Europe sailings, but hurry the offer ends April 24th and sailings will sell out quickly! Contact your UNIGLOBE Travel Consultant for the right Europe cruise for you!